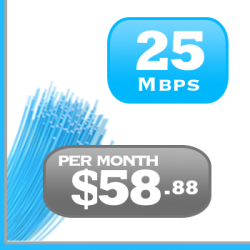 There is no dry loop fee on the 15, 25 and 50Mbps plans. 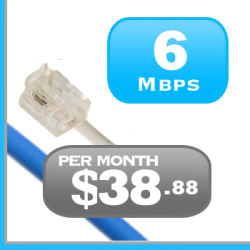 The Modem is a free rental for the 15, 25, and 50Mbps plans. Installation is free for the month of June. DSL – ADSL – FTTN is Internet running over the phone lines. If you have DSL services, consider using your own modem. If you have FTTH (Fiber to the home) consider looking Cable. Dry Loop fees only apply to the 6 Mbps DSL service. Get one month free when you pay for a year on the 15, 25 and 50Mbps plans.